Matt uses his remarkable filmmaking experience to deliver a special keynote presentation titled “Legacy Is For The Living”. Matthew uses his journey as well as that of the hero of his film, Welles Crowther, to compellingly discuss why we should "make a mark". Matthew's session is an unforgettable event which deeply resonates with audiences of all types (old and young, male or female). Audiences never forget how this session makes them feeL Among others, this session is great for events and conferences with themes, such as courage, significance, re-inventing oneself, legacy, inspiration, motivation and boldly go. It is also a great fit for event planners who are simply looking for someone to uplift and inspire their audience. 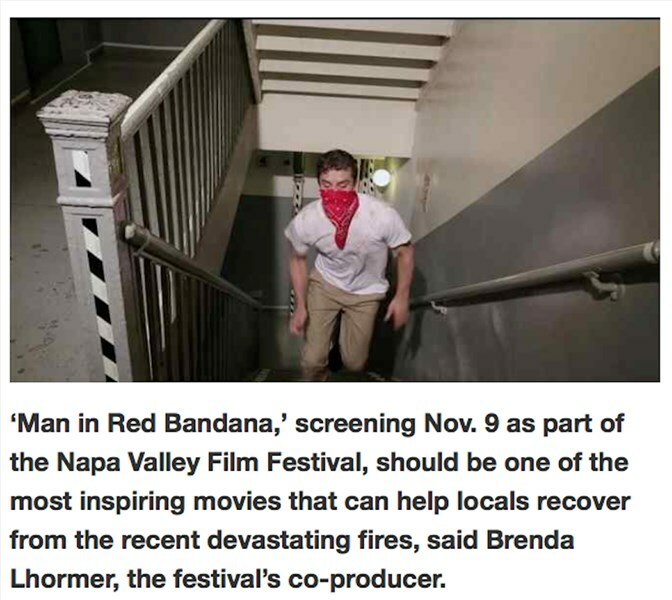 Your attendees will love the exclusive access they have to the back-story of Matthew's film, "Man In Red Bandana", and be inspired to "dream big". 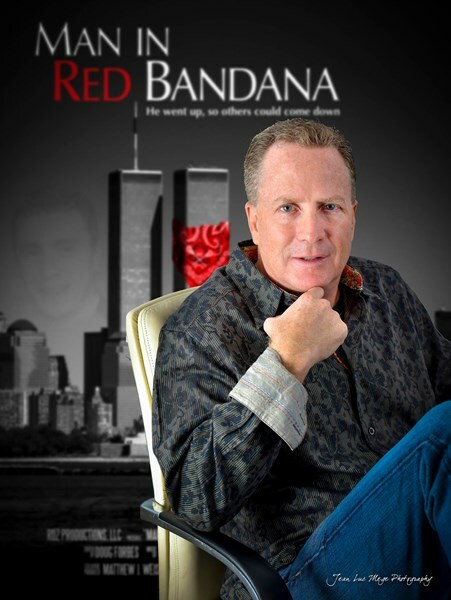 His documentary film is narrated by Gwyneth Paltrow and includes an original song performed by Lyle Lovett. At your event, Matt can screen the film or just show its trailer. Either way, audiences will NEVER forget the inspirational way that this session makes them feel. Matt shares how an ordinary business lunch led him on a 6-year journey to make this film about an incredible hero and launch a new career. He explains how he went from a traffic lawyer to a filmmaker who directed an Oscar-winning actress. Along the way, Matt and his film have been featured throughout the media including People Magazine, NY Times, NBC, Fox & Friends, Sports Illustrated, NY Post, WPIX, Providence Journal. How does one evaluate and execute a legacy project. Matt is currently completing his second film called “Vault”, a feature film about the 1975 heist of $30 million, the largest in US history. The film stars Don Johnson, Theo Rossi, Samira Wiley, Burt Young, Vincent Pastore and Clive Standen. He is in pre-production of "Jungle Room" which starts filming in 2019, and writing his fourth film called "One Night". He is one of the most business-savvy and entrepreneurial lawyers that you will ever meet. He is former President of the Entrepreneurs' Organization, New York and a former EO Global Learning Chair. 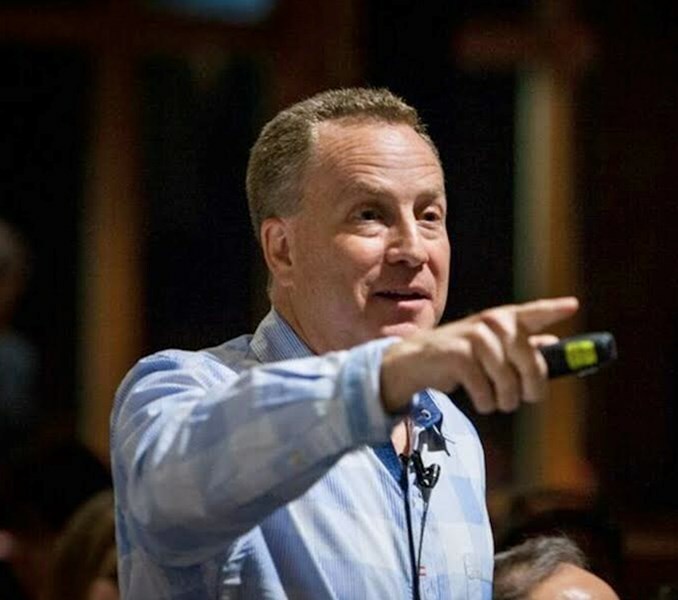 He has spoken before 1,000s of business owners on various business topics. Weiss has regularly appeared as a business expert on MSNBC's “Your Business”, and has been quoted by dozens of media outlets. He has spoken at over 200 events and conferences and served as emcee at dozens of overs. He also is an award-winning event planner so he fully understands the business from the "other side". In 1991, Matt co-founded his private law practice and, nine years later, bought out his partner. Since then, Weiss & Associates, PC, has grown to representing 6,000+ clients annually throughout New York State. His law firm defends motorists from various vehicle and traffic law matters such as drinking and driving, speeding, and reckless driving. Please note Award-Winning Filmmaker Motivational Speaker will also travel to Miami Springs, Hialeah, Coral Gables, Opa Locka, Miami Gardens, Miami Beach, Hollywood, Key Biscayne, Miramar, Pembroke Pines, Hallandale, Fort Lauderdale, Princeton, Homestead, Dania, Leisure City, Florida City, North Lauderdale, Pompano Beach, Coral Springs, Coconut Creek, Lighthouse Point, Parkland, Deerfield Beach, Boca Raton, Key Largo, Delray Beach.